Marilyn was found at a construction site, nursing her four puppies. 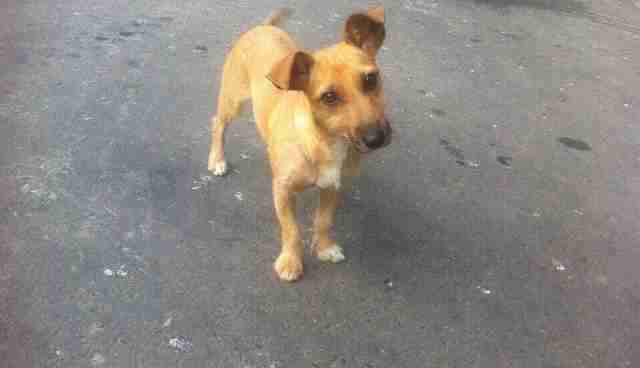 Libby was stashed near a dumpster, a popular spot for dumping unwanted dogs. "We get a lot of our dogs from dumpsters," Anna Umansky, founder and director of Sochi Dogs: Extraordinary Strays, tells The Dodo. "People just leave them there." 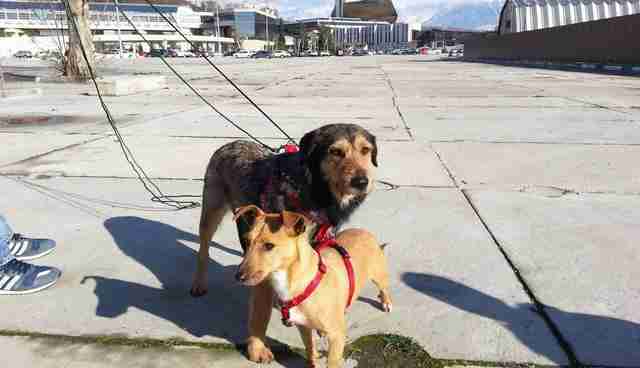 Marilyn and Libby met at the Sochi Dogs shelter in Russia. It was love at first sight. Around 4,700 miles away, Lauren Cohen was at home sifting through dog adoption pictures. She saw Marilyn. "My mother's name is also Marilyn, so it was just too coincidental," she tells The Dodo. "Then I saw all the pictures of her and Libby." There had been a dog-shaped hole in the lives of Lauren and her husband, Dan, since their own pet passed away a year ago. "She was a special dog, so it took me a long time," Lauren says. But how do you separate dogs who have suffered so much - and found so much comfort in each other? Anna Umansky, who had been coordinating Marilyn's adoption, remembers the next call she got from the Cohens. "Lauren said, 'We're going to take the other one. Has she been adopted yet? We can't split them up. They've been through so much already.'" "And I was like, OKAY!'" So the Cohens began counting down the minutes. "The plane lands around 1 o'clock," she says. "Of course, with traffic it could be at least an hour to my house. I bet they're going to come in around rush hour. On a Friday night, it could take a little while." "So I think maybe 4, maybe 5. Hopefully, they'll leave before traffic." The night before, the Cohens were out shopping for everything dog - beds, blankets, toys. Lauren remembers the news reports out of Sochi. Not so much about the Winter Games that alit on the city in 2014. She remembers details of street dogs. Umansky remembers them too. In fact, that's why she founded Sochi Dogs. Based in New Jersey, she runs a lifeline from a shelter in the Russian city to homes in Europe and North America. Since the Olympics, the group has found homes for 88 of these downtrodden dogs. It has also sterilized 150 dogs, which results in thousands more not being left to the mercy of the streets. 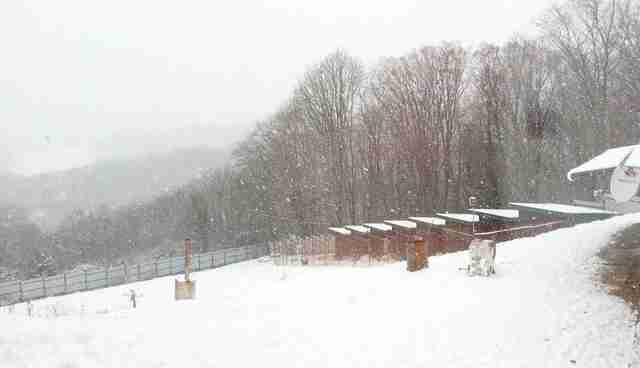 Also, the group's shelter in Sochi is like no other. There's a family that lives there in a cottage at the site. Occasionally, the dogs even join them inside. 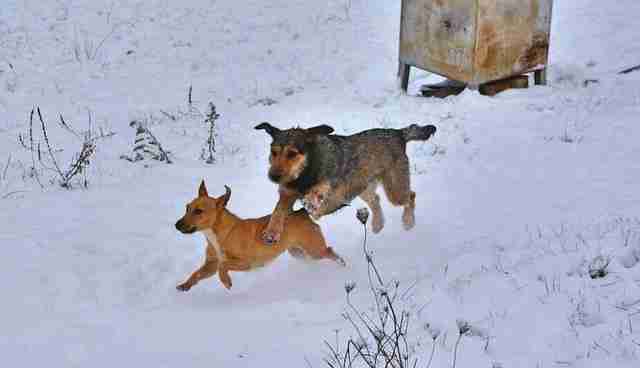 But since the Olympic flame was snuffed out, the world's attention to these dogs has also dimmed. Umansky and her organization are undaunted. But they could use some help. 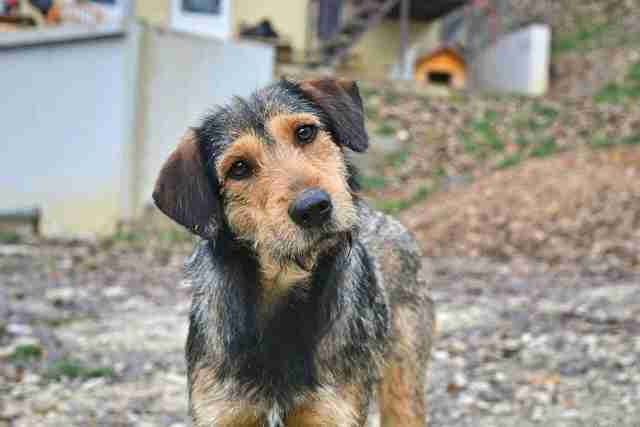 If you would like to make a donation to Sochi Dogs: Extraordinary Strays, visit the website . 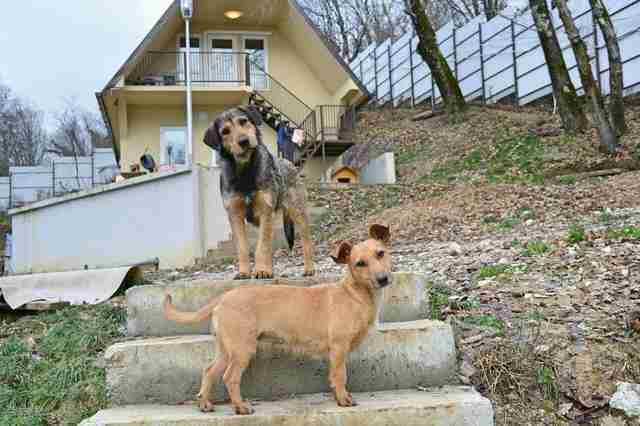 And if you're interested in giving a Sochi dog a real home, check out the adoptions page. As for the Cohens of River Edge, New Jersey? Today they're getting not one, but two special packages from Russia. With love. Welcome to your soon-to-be home, Marilyn and Libby.